Omnia offers a wide range of mechanical irrigation lines, which are compatible with most physiodispensers available for sale. Irrigation systems include a perforator, a roller or clamp for flow control, the fittings and an integrated peristaltic pump section. 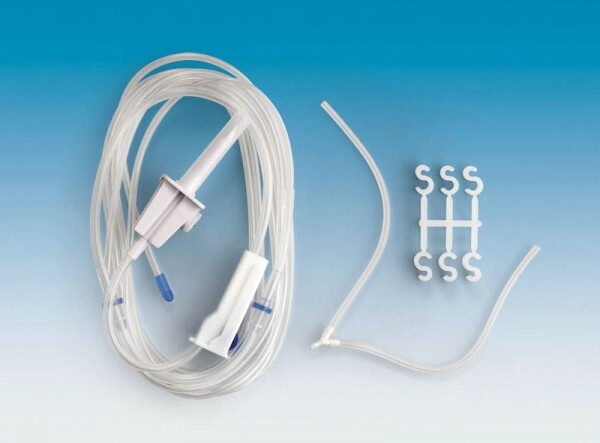 The practical terminal cap makes the connection of the irrigation line to the hand piece easier and allows connecting our tubes with all the cooling needles of the different hand pieces, whose diameters often differ.